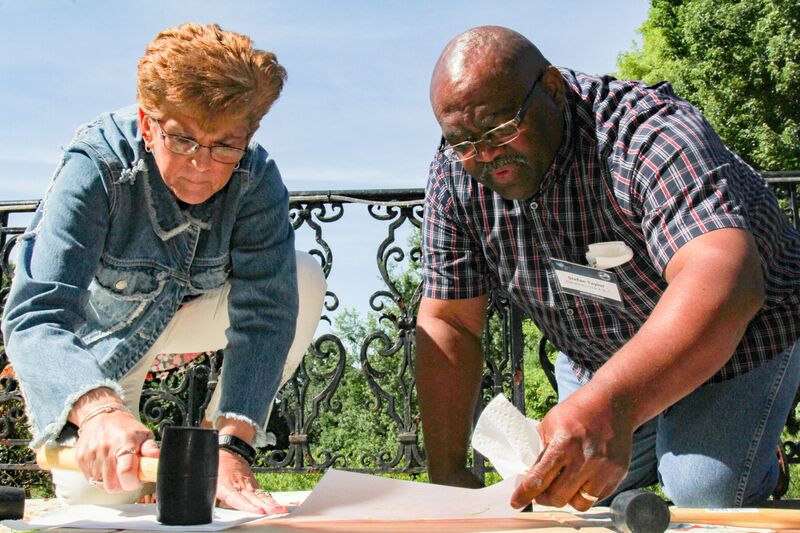 For nearly twenty years, Kentucky Farm Bureau has provided educators with a variety of teacher training and professional development opportunities designed to better enable participants to incorporate agriculture into their daily core curriculum. More specifically, teachers learn the value of using agricultural related material to teach Mathematics, Social Studies, English and Science through real life application. We are pleased to once again offer a total of six hours of professional development depending on school district approval. Educators and pre-service teachers will be inspired by our featured presenters. This year’s workshops will highlight several agricultural and gardening lessons that are designed to broaden your students’ educational experiences and deepen their desire to learn. Whether you are a first-time attendee or a past participant, we have something for you. Each year we strive to share fresh ideas that will aid your efforts as you incorporate agriculture in your classroom. The workshop registration fee has been waived for all Kentucky educators, compliments of Kentucky Farm Bureau. Please be aware that availability is limited; therefore, early registration is encouraged. Please register online at kyfb.com/teacher19 by the Saturday, June 1st deadline.